Will Trump’s Election Send Fallin to Washington? With Donald Trump elected president, Gov. Mary Fallin will possibly be up for an appointment to his administration. Fallin was an early backer of Trump and during the summer was mentioned as a potential running mate. She stood by him after a videotape emerged that captured his lewd comments about women. She and former GOP presidential candidate Ben Carson stumped for Trump on Saturday in Phoenix. A Politico article speculates Fallin could be in line for the secretary of the interior position. But it states that Forrest Lucas, the 74-year-old co-founder of oil products company Lucas Oil, is a favorite for the position. 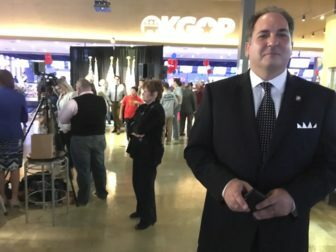 If Fallin resigned and left for Washington, Lt. Gov. Todd Lamb would become governor. But who his successor would be has been a source a debate because of questions about the interpretation of the state constitution and various legal opinions based around the issue over the decades. However, a 1999 article in the Tulsa Law Review argued the new governor would be able to appoint the next lieutenant governor with the consent of the Senate. The article goes on to argue that the appointee cannot be a sitting legislator. Legislation was introduced in 2001 to create a state question so a constitutional amendment would clarify that the new governor would make the appointment. The proposal, however, did not pass. Passing with two-thirds of the vote. Passing with between 55 and 60 percent of the vote. Kris Steele, of Oklahomans for Criminal Justice Reform: “I’m very excited and proud the voters of Oklahoma have declared that it is time to take a smarter approach to criminal justice in Oklahoma. I think the voters at the polls understand that addressing matters of addiction and mental illness with treatment rather than incarceration is much more effective at modifying behavior and help individuals turn their lives around. Failing with 57 percent against. The closer than expected presidential race is buoying the hopes of Trump supporters and rattling the nerves of Clinton backers. 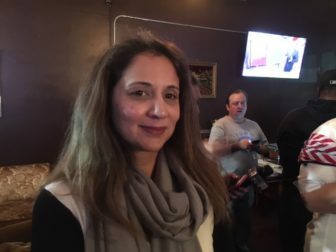 At the Democratic watch party at an Oklahoma City restaurant, Aisha Shah, a party outreach official, said, “We expected the red states to come in first. People are panicking … We weren’t expecting him to come this close. It had me on edge for a while. “I really think sexism has a lot to do with it. The misogyny, the patriarchy,” she said. A Pakistani-American, Shah said she intends to run for in state House District 82 in 2018. #newhampshire #realdonaldtrump New Hampshire you have an awesome privilege to elect our new president! Trump is the way! Bill Shapard, of SoonerPoll, finds it interesting that no one, including his firm, has done a poll on the U.S. Senate race in Oklahoma, in which incumbent James Lankford faces three opponents, including Democrat Mike Workman. The pollsters’ take is that “it’s not even plausible that it’s close or contentious.” It also reflects how Oklahoma, a deeply red state though less so in the largest urban areas, is different than much of the rest of the nation, Shapard said. According to campaign finance reports, Lankford had raised about $2.5 million this election cycle through Oct. 19 and had $904,085 cash in hand. During the previous two-year election cycle, he raised $4.2 million. Election 2016: A Mental Health Crisis? Families are fighting in person and on Facebook. People are losing sleep. Clients of mental-health professionals are making emergency appointments to seek advice on dealing with stress over the presidential election. Election 2016 is taking a toll on many Oklahomans’ emotional states. In this audio report, Oklahoma Watch’s Brad Gibson talks with two psychologists about their thoughts. David Blatt, executive director of the Oklahoma Policy Institute, has taken a statistical look at state questions dating back to 1989. 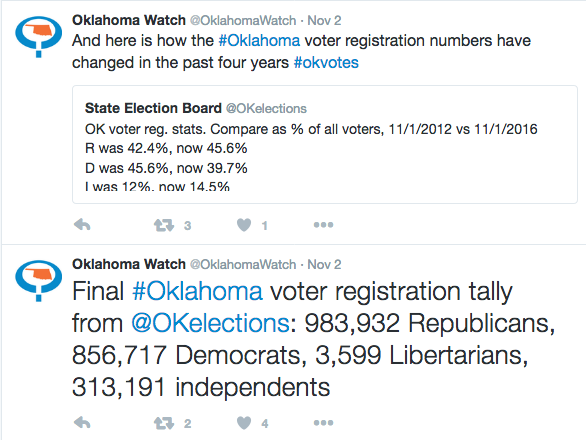 What did he find that dispels some widespread beliefs about Oklahoma voters? Blatt also offers thoughts on the chances of passage for some of the key measures on Tuesday’s ballot. Early voting is a wrap. Oklahoma State Election Board reporting it will set a new record. With plenty of early-voting time left to go, 8.4 percent of Oklahoma’s ballots have already been cast. On 11/1 we reported 2,157,450 reg. voters in OK. Based on 3:45PM absentee #’s, about 8.4% of OK voters have now voted early or by mail! A battleground state Oklahoma is not. Most voters are leaning toward Donald Trump in the presidential race, according to polls. But the ballot is still full of suspense. 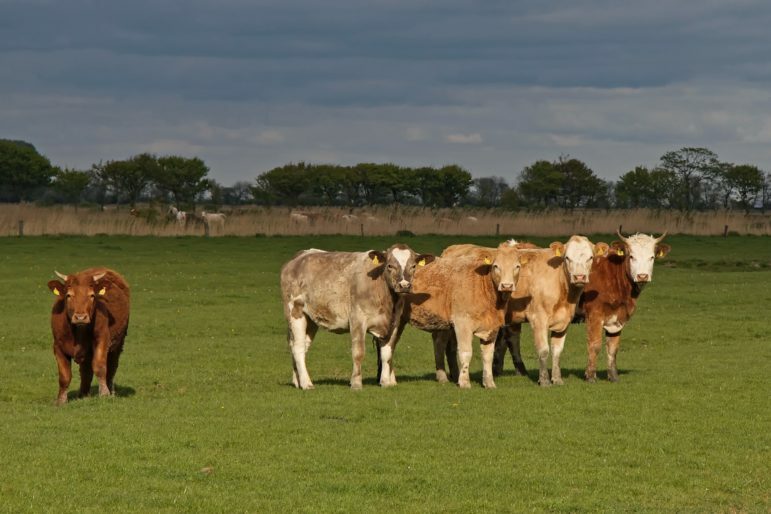 There are seven state questions on key issues. Observers wonder if Trump’s margin over Hillary Clinton will narrow. How will women vote? Will more Hispanics turn out? Will Democrats and “teachers’ caucus” candidates pick up seats in the Legislature? Many voters feel a lot is at stake. 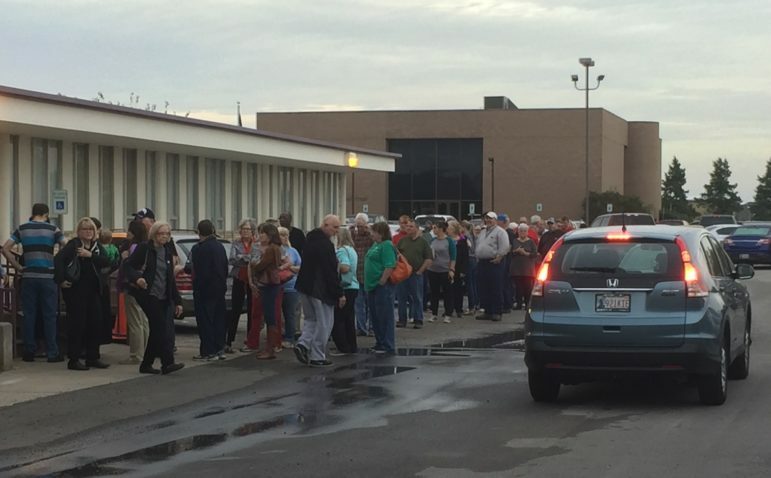 The long lines of early voters at the polls appear to bear that out. A line of early voters extended halfway around the Cleveland County Election Board building Thursday morning (above). The line was even longer Friday morning. Representatives of bail bond companies, which fear they will lose business if State Questions 780 and 781 pass, have formed the first official political group that’s come out against the measures. Ethics Commission paperwork shows two women from Oklahoma City bail bond companies are heading the new political action committee, Voteno780.com. SQ 780 is intended to reduce incarceration by lowering the penalties for drug possession and raising the dollar threshold for property crimes to be considered a felony. SQ 781 would send any money saved by SQ 780 to counties for rehabilitation programs. Laurie Poole, treasurer of Voteno780 and owner of Assets Bail Bonds, said the group has raised around $7,000 so far and bought some ads. The group’s chair is April Carter, a Freedom Bail Bonds employee. Poole said the group opposes the questions because, among other reasons, they are redundant and would take away prosecutorial discretion. But she acknowledged passage would hurt bail bond companies. “There’s no way to flower it up – it’s going to change the face of our industry,” Poole said. At the same time, passage would financially benefit social-services nonprofits that support the state questions, she said.